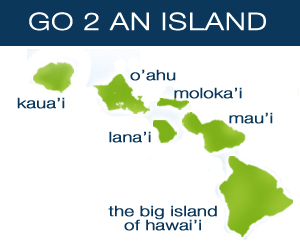 Mahalo for visiting Go2Hawaii.com! 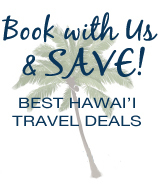 Our goal is to provide you with the most outstanding Hawaiian vacation that money can buy. Please fill out the following online form and a Go2Hawaii Travel Representative will contact you with more information. 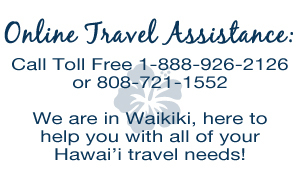 You may also Call Us Toll Free at 1 (888) 926-2126 or (808) 721-1552 to speak to a travel representative.